2016 is over and we saw some artists break through and become bonafide stars: Anderson .Paak, Chance The Rapper, Lil Yachty, 21 Savage, Dave East, Lil Uzi Vert and hell even Kodak Black made a name for himself from behind bars. All of those artists dropped solid projects and became the talk of music blogs, making appearances on the billboard charts. Now with 2017 here, us over here at FKB headquarters decided to make a list in no particular order of new artists to look out for this year. Dae Dae gained major attention last year with his popular track “Wat U Mean? (Aye Ay Aye).” His buzz is pretty high right now, and I’m pretty confident to bet that he will only gain more attention. He’s signed to 300 ent. along with Young Thug, Fetty Wap and Migos so i’m pretty sure the hits will come with this label doing so well with their eye for talent. H.E.R. dropped her debut project, Vol. 1, and it ended up hitting number one on iTunes’ R&B charts. To be honest, she kind of came out of nowhere and I still don’t think we know exactly what she looks like. Her fanbase and other musicians alike were excited for the project. Alicia Keys and Bryson Tiller gave their co-signs publicly for the 7-track EP. The mystery surrounding this young lady is also what’s catching everyone’s attention, as they try to put a face with this beautiful voice coming from the speakers. In fact, when RCA Records first sent out the press materials for the project, they were adamant that the identity of the singer remain secret. Maybe the label has a huge roll out planned for her in 2017, but she is definitely an artist to keep an eye out for. 6lack (pronounced “black”) is another mysterious artist we know very little about, but we have found out he’s from Atlanta and has ties to Raury’s creative agency, LoveRenaissance. Two of his tracks “Ex-Calling,” and “PRBLMS” have already been streamed a million times each. This just indicates dude is the real deal and we barely know anything about him. Maybe 2017 is the year of the mysterious artist? His Free 6lack project and his mystique proved he definitely has the power and ability to be more than just a soundcloud sensation. Check out 6lack’s music here. Most artists don’t get a chance to reinvent themselves or repackage how they are introduced to us, but 24Hrs, the artist formerly known as Royce Rizzy, has effectively been able to accomplish this feat. With the breakout success of tracks like “Body” and “You Know,” 24hrs has been able to work with the likes of Wiz Khalifa, Post Malone, Hit-Boy, Yo Gotti and Murda Beatz. And not to mention his joint project with Ty Dolla $ign is on the way as well. Brooklyn rapper Jimi Tents burst onto the scene last year with his coming-of-age project 5 O’Clock Shadow EP. Jimi was the first member of the Slpr Camp collective to break out and gain noterity. He toured with Justin Bieber on the Purpose tour and made tons of festival appearances. Now prepping his debut album, 2017 is due for Mr. Tents to become a household name. Anything that Andre 3000 co-signs is worth checking out, so when Divine Council’s “Decemba” remix came out, of course the crew with a cult-like following gained more attention because of their Three Stacks verse on the track. The group is made up of Silk Money, Cyrax, Lord Linco, and ICYTWAT, their attention to detail in videos is amazing, check out the Andre 3000 directed “Decemba” video if you don’t believe me. They were signed by L.A. Reid, to Epic Records in 2016, and they dropped the incredible Council World EP. They are just a few records away from becoming mainstays on the websites and blogs. Listen to Nick Grant’s music here. You may or may not be aware of this but one of the hottest artists out of Atlanta is Summer Hill’s own YFN Lucci. His single “Key 2 the Streets” was one of the most streamed songs on urban radio and his mixtape Wish Me Well 2 was downloaded over a million times. The only knock on the T.I.G. rapper is he hasn’t become a big name in the north east region yet, but this year that will change. Who doesn’t love Amine’s hit single ‘”Caroline?” It peaked at No. 11 on the Billboard Hot 100, not bad for a debut single. With the success of “Caroline,” the Portland, Oregon native is bound to have a break out year this 2017. Hopefully when he drops his debut project he’ll prove he isn’t just a one hit wonder. Dreamville’s first lady has gotten off to a promising start with her debut EP PHO. The D.C. native has already been compared to the likes of Lauryn Hill and Erykah Badu for her jazzy production selection and mello vocals. And with songs like “Yuengling” and “Backseat,” her sound is only going to get better. J. Cole’s Dreamville label is building quite the roster if you ask me. Listen to Ari Lennox’s music here. Bronx native A boogie had a hell of a year didn’t he? Nearly all of his youtube videos gained a million views and his soundcloud streams are up there as well. So it would be hard to ignore that he is poised to have a huge 2017. If the streaming and youtube hits didn’t convince you maybe the Drake co-sign will. Most artists Drake has taking a liking to end up taking it to the next level. Rumor has it Boogie is featured on Drake’s new project More life so only time will tell if those two cooked up something special or not. Eryn Allen Kane is a Detroit raised, Chicago-based singer. She released her Aviary: Act 1 EP in 2015 and followed it up with Act II last year. Her sultry vocals paired with her talents on a piano are reminiscent of Alicia Keys’ early work, but she still maintains a style all her own. Kane was being mentored by Prince before his untimely death last year, and the legendary singer even collaborated with her on his single “Baltimore.” More recently she was featured on Chance The Rapper’s Coloring Book. With another project due this year, I have a feeling her name will be one that stays around for a while. Listen to Eryn Allen Kane’s music here. East Harlem native Kadeem King has been honing his craft for a while now and 2017 is the year he will finally break as the artist many of fans know he will be. His “Go Getta” single is gaining a lot of steam and earning spins at parties and clubs around the city. Next up for the RBL Leadah is to drop his debut project due out some time this year. Make sure you be on the look out. Although Kamaiyah released her debut mixtape A Good Night In The Ghetto last year, the Oakland native hasn’t propelled to heights she deserves just yet. Her unique style has remnants of No Limit’s Mia X meets Trina, packaged with funky Bay Area beats. In 2017 she looks to make a bigger name for herself, as she just announced that her debut album will be dropping soon. We’re willing to bet it’ll be the release that does the trick. 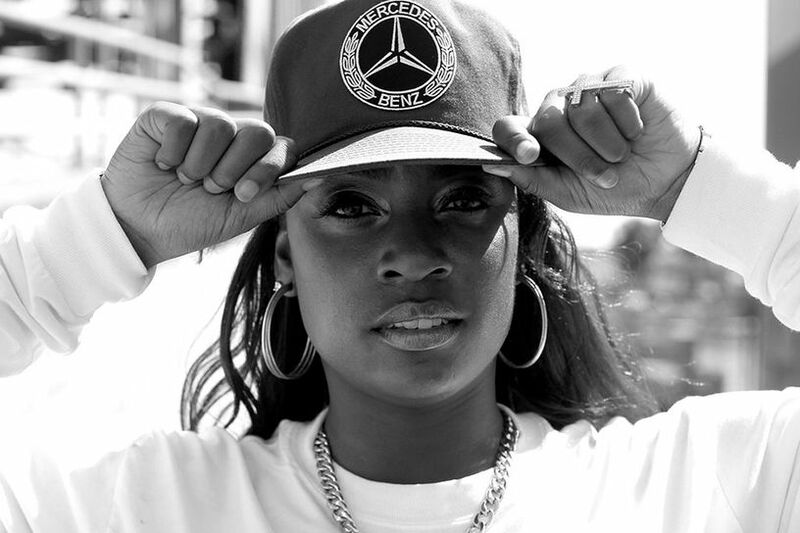 Listen to Kamaiyah’s music here. Def Jam signee Lajan Slim has been building a name for himself over the past year and 2017 will be very good to him. The 22-year old already has a street anthem with his song “Haitians,” and is set to drop a new project some time this year.